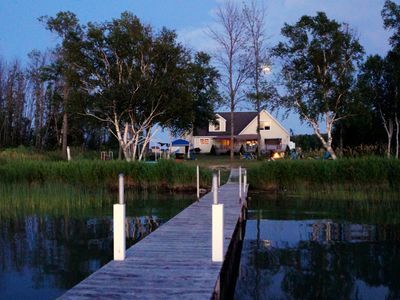 Crooked Lake cottage with beach and boat docks -so charming! 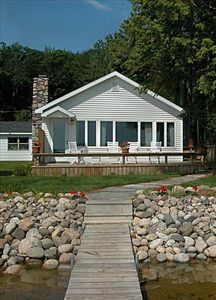 One of six privately owned cottages in a unique, park-like community on Crooked Lake. 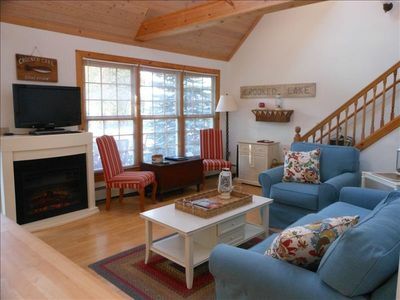 This very well kept cottage has gorgeous pine interior, new furniture and linens and lots of natural light. The pine cathedral ceilings create a cozy yet open feel. Great for all seasons! 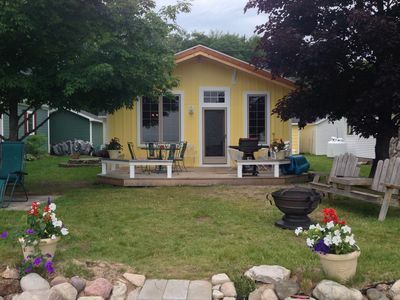 Impeccable cottage is two bedroom and two bath, including a master loft. Fully stocked kitchen makes this cottage feel like your home away from home. 450 feet of shared waterfront frontage and half is a sandy beach. Shallow and sandy bottom water makes for the best and safest swimming on Crooked Lake. Relax and kick back in the evening by roasting marshmallows from one of the multiple bonfire pits. Also, new in 2013- the extended Little Traverse Wheelway bike trail can be accessed just across the street from our cottage. 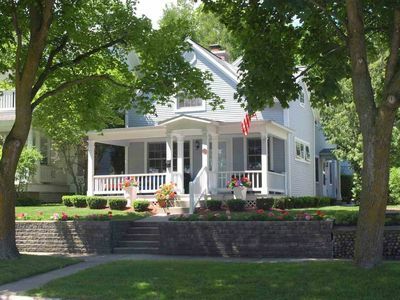 Enjoy a great bike ride to Petoskey or the cute town of Alanson, just 3 miles north. 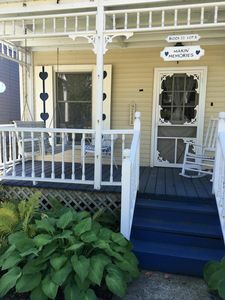 If you prefer a walk, there is a one mile walkway past the historic homes of Crooked Lake, which begins just down the street from the cottage. Comfortable resort also includes volleyball, small basketball court, and horseshoes. You can really relax here! 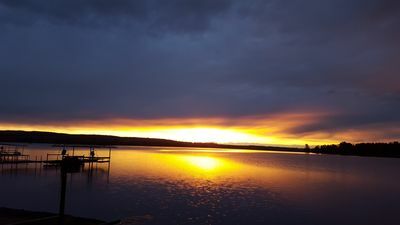 Boat slip in private marina included with cottage rental. Jet skis can be anchored in shallow water off the beach. Cottage is approx. 100 feet from the beach and lake. 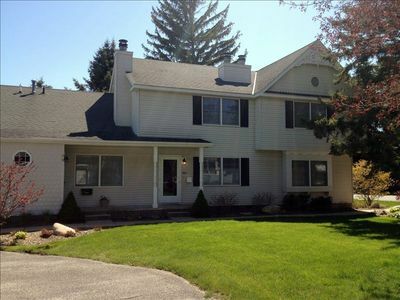 Lots of restaurants, golfing, and shopping close by-and only minutes from Boyne Highlands and Nubs Nob. Brand new casino, The Odawa Resort, only 15 minutes from cottage and Mackinac Island only 30 miles away. A great location! 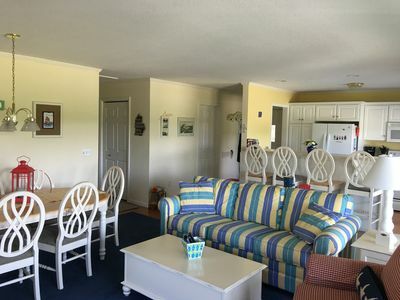 The beach and park-like setting with boat docking makes this a unique vacation property. Cottage approximately 100ft from beach. 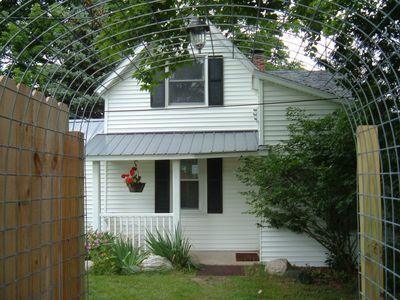 Call now to rent this cozy cottage only seven miles from Petoskey and nine from Harbor Springs! Waterfront Boater's Paradise!! Million dollar sunsets!! Sleeps up to 14. 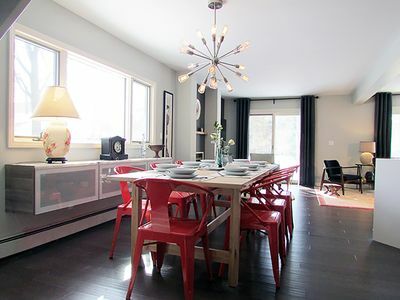 Walk to Town, Beaches, and Boat docks from this cute and comfortable townhouse. Petoskey: Stone's Throw Away from All Season Recreation/Art. 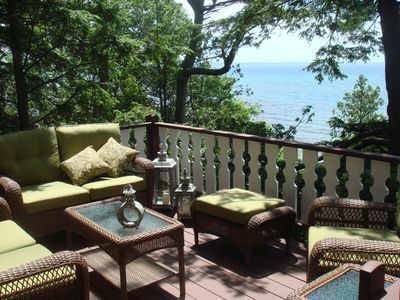 Don't Miss This One; On Lake Michigan in a beautiful secluded forest. 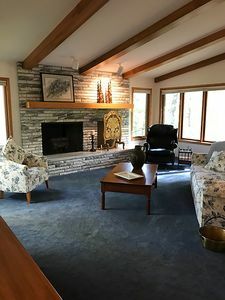 Great Condo at Boyne Highlands on Arthur Hills Course! 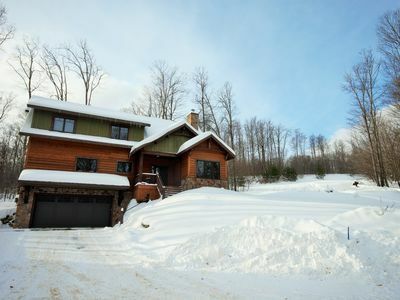 Spectacular Four Bedroom Lodge on the Slopes in the of Heart Boyne Highlands! 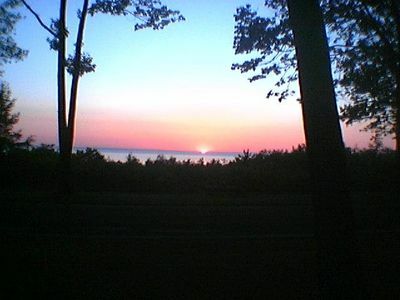 Downtown Harbor Springs, Newly released weekend, July 13 now available!